Natural Goat - Hudson Livestock Supplements Inc.Hudson Livestock Supplements Inc. The Natural Goat Tub is an all natural protein supplement designed for all stages of production. All Natural Goat is fortified with chelated trace minerals, high vitamin levels, and organic selenium to support a healthy immune system, and improve reproductive performance. This product is also fortified with COMAX a natural feed additive and Yucca Schidigera, promoting bacterial growth and increased rumen function, which results in improved performance. 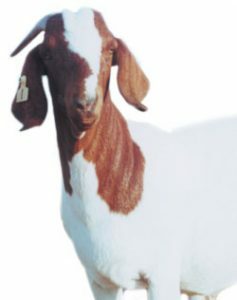 All Natural Goat is an excellent choice for goats producing meat, milk and hair.